Looking for a Lightning flash drive for your iPhone or iPad? We have a handy list of some of the best that won’t break your bank and are also MFi Certified. Though people may not realize this, but the Lightning port on an iPhone or iPad is extremely versatile. Not only it is capable of delivering high quality audio and charge, but it also allows you to interface your device with a storage medium as well. 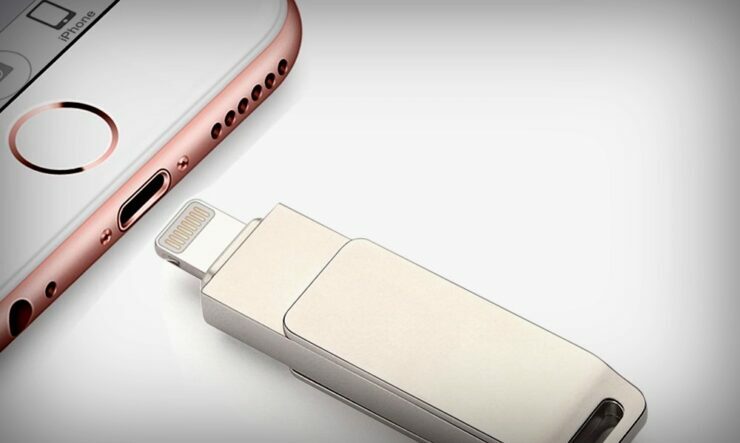 This means you have the option of buying a Lightning based flash drive which you can use to extend the capacity of your iPhone or iPad. So if that 16 or 32GB iPhone or iPad is letting you down, then here are the best options you can avail to extend your storage space. A straightforward drive with a vanilla design. 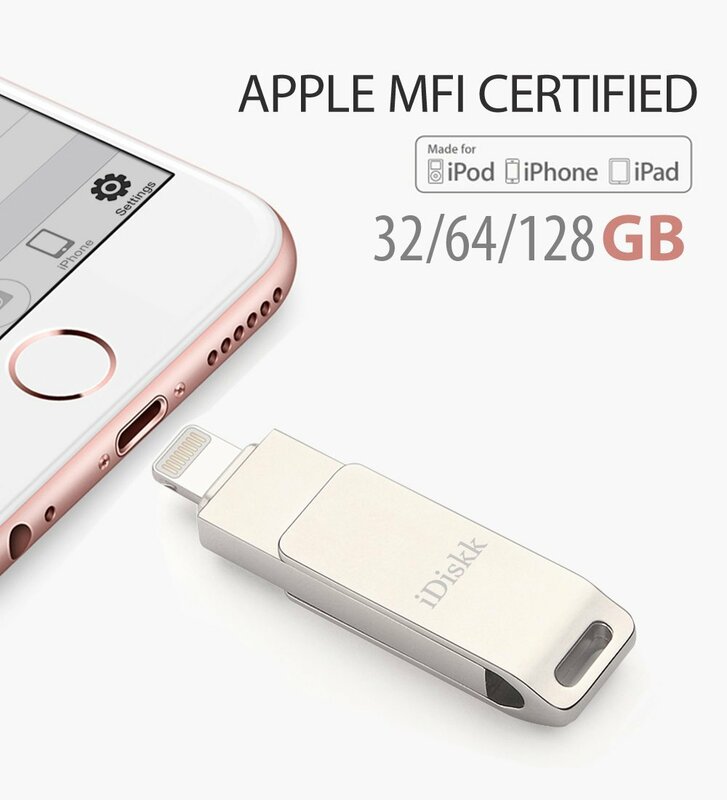 This Lightning flash drive from iDiskk not only gets the job done, but also offers the user to protect their data using Touch ID. Last but not the least, it also features a USB-A port if you wish to connect it with your Mac or PC. The iDiskk is available in three storage options: 32, 64 and 128GB. For a price of $37.99 for the cheapest model, it’s a great purchase, and something that will go a long way if you have tons of content to create. 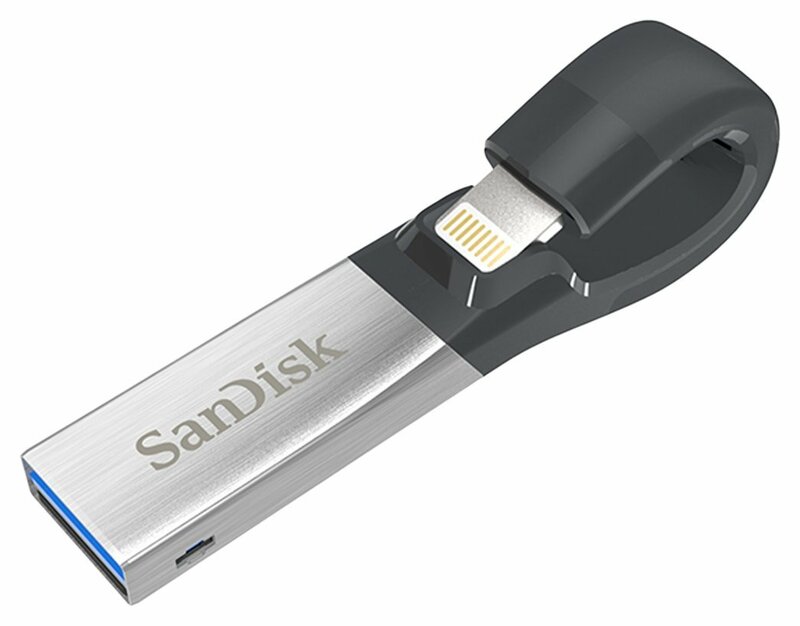 Apart from its glorious design, the SanDisk iXpand is a one of a kind Lightning flash drive. Once connected, the drive itself curves back onto your iPhone or iPad, hence it doesn’t get obtrusive in any way at all. It also features a USB 3.0 port for interfacing with a PC or Mac apart from your iOS device. Available in four storage capacities: 32, 64, 128 and 256GB, the iXpand starts at $35.98 for the cheapest model. Personally, I would go for this one than anything else at any time of the day. 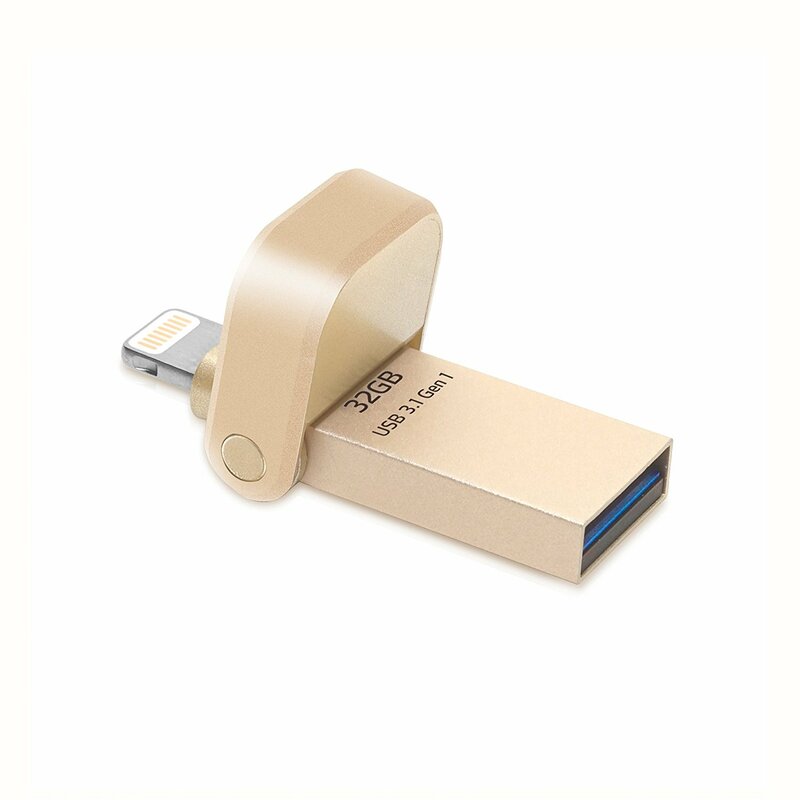 Though it might not be the most beautiful looking flash drive out there, but it features a case friendly design along with a USB 3.0 port for use with other devices such as a PC or Mac. What else do you need? The PNY Duo-Link is available in two storage options: 32 and 64GB, and it starts at just $33. This is an extremely unique option. It’s a flash drive as well as a Lightning cable baked into one. So not only you can store your files on it, you can also depend on it to charge your iPhone or iPad. It’s available in four storage options: 16, 32, 64 and 128GB, the base model starts at just $29.50. If you are looking to down two birds with one stone, then this is your best bet. 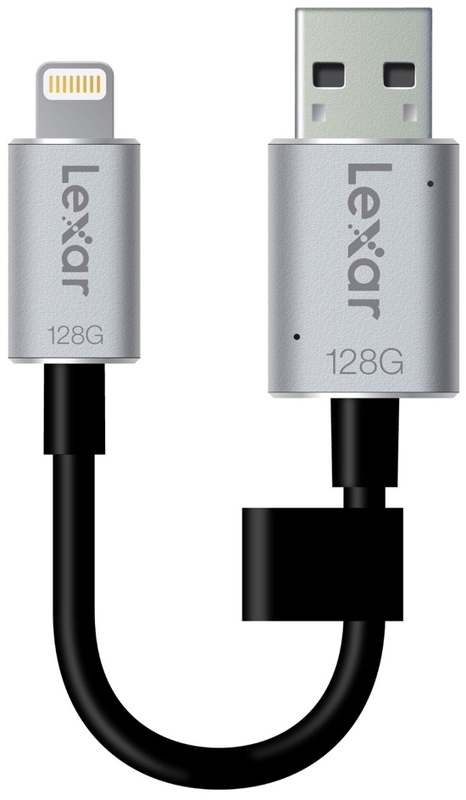 This one’s a little expensive, but it features not only a Lightning port but also a USB 3.1 port. This means you can expect extremely fast data transfers if you are planning to use it on your PC or Mac, as long as it supports the USB 3.1 standard. 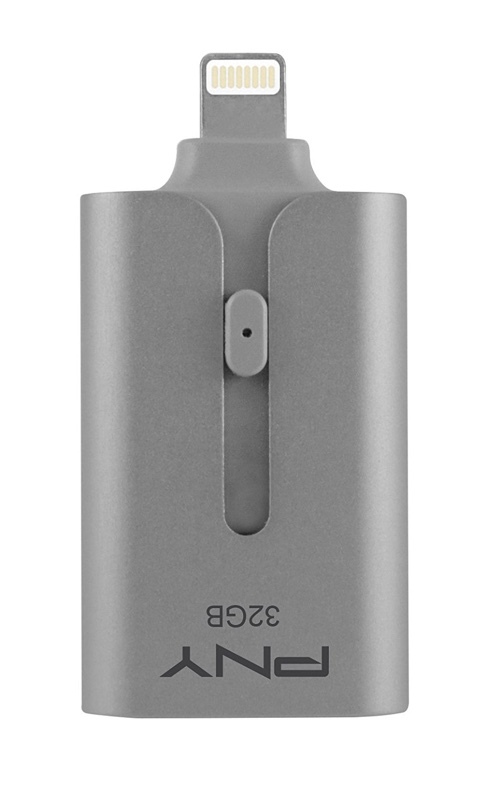 Available in three capacities: 32, 64 and 128GB, the base model starts at $55.99.